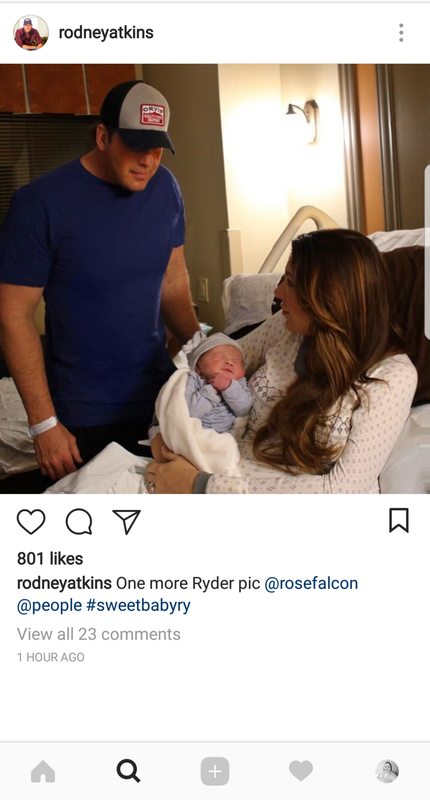 Rodney Atkins and his wife Rose Falcon Atkins have welcomed their first child together: a son named Ryder Falcon. He was born in Nashville, Tennessee, on Thursday, Dec. 14, at 2:02 p.m. The couple announced via social media they were expecting on July 4th with an adorable photo of the couple. Rose revealed back in September after sharing a baby bump photo that Ryder was the couple's rainbow baby. Newer PostScotty McCreery Using His Voice To Embrace The Holidays.. But It's Not What You Expect!